Hey y'all and Happy Thursday! These gorgeous seventy degree days have me oh so ready for springtime and a trip to the beach! Anyone else so ready for beach days?! This weather is my absolute favorite. 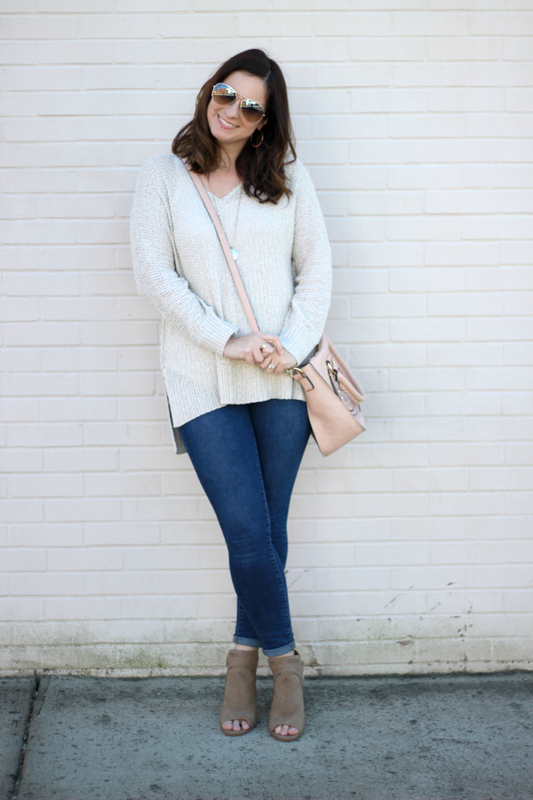 My closet is in transition right now because I am switching out some of my winter pieces for items that I can wear now when we still may have some cool days and items that will work for warmer temperatures. 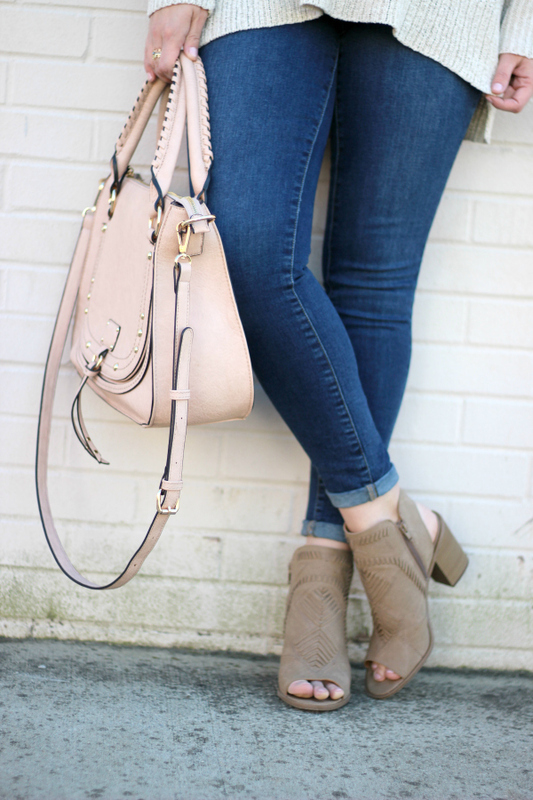 I love transitional clothing items that I can wear now and later. 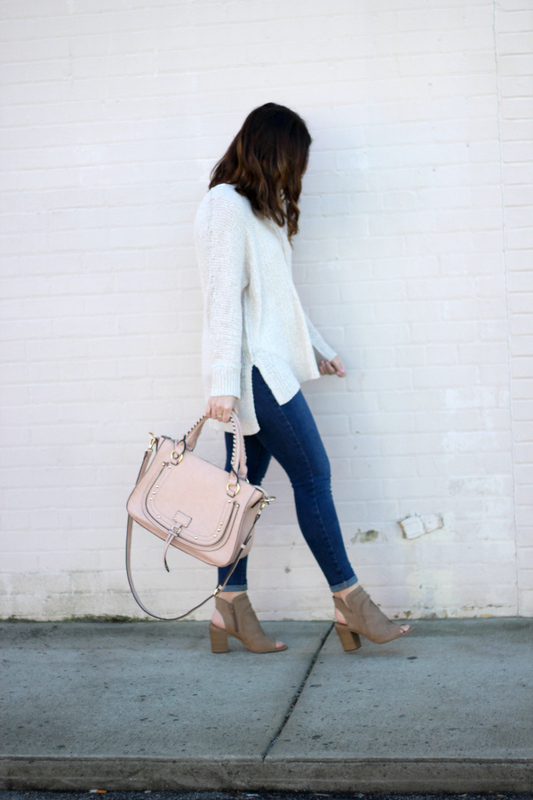 I have mentioned this many times but I love transitional style because it forces you to be creative with your wardrobe and you get more use out of items in your closet. 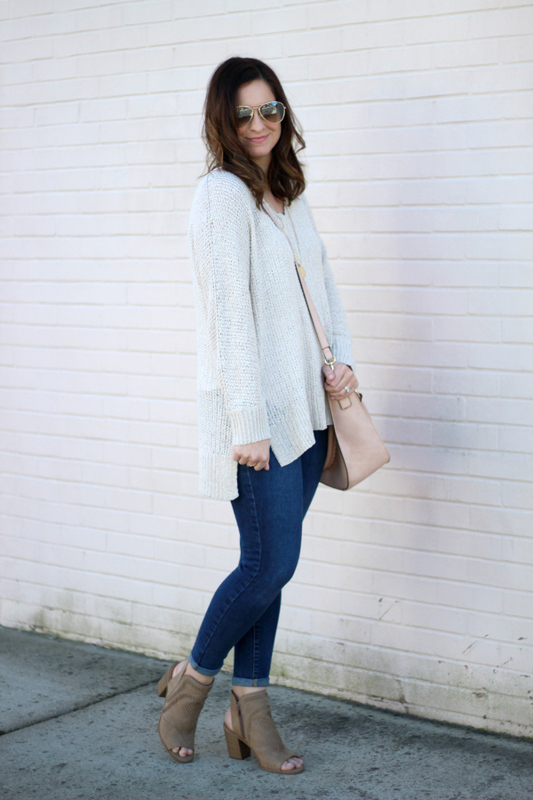 Today, I am styling the perfect transitional sweater to wear now with skinny jeans and later with boyfriend shorts when it gets warmer because I love sweaters with shorts. 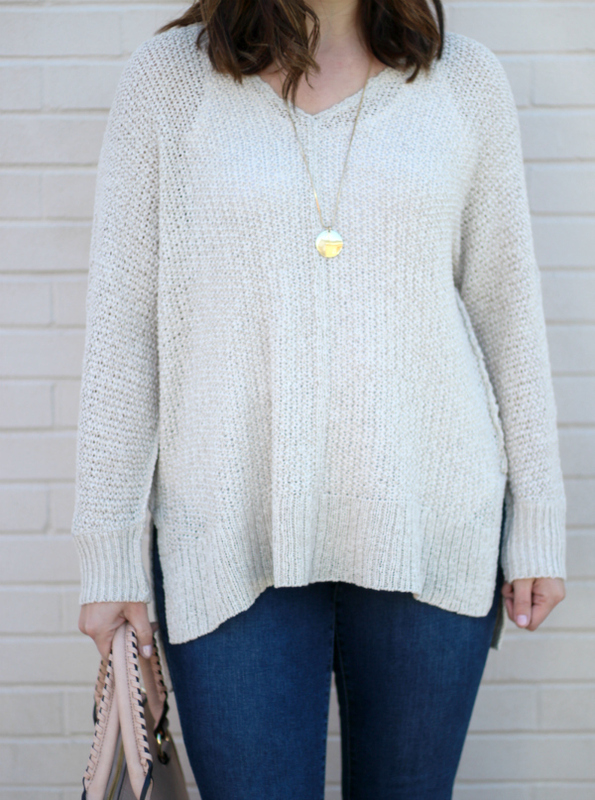 This sweater is one of my favorite finds from the new Universal Thread collection at Target. 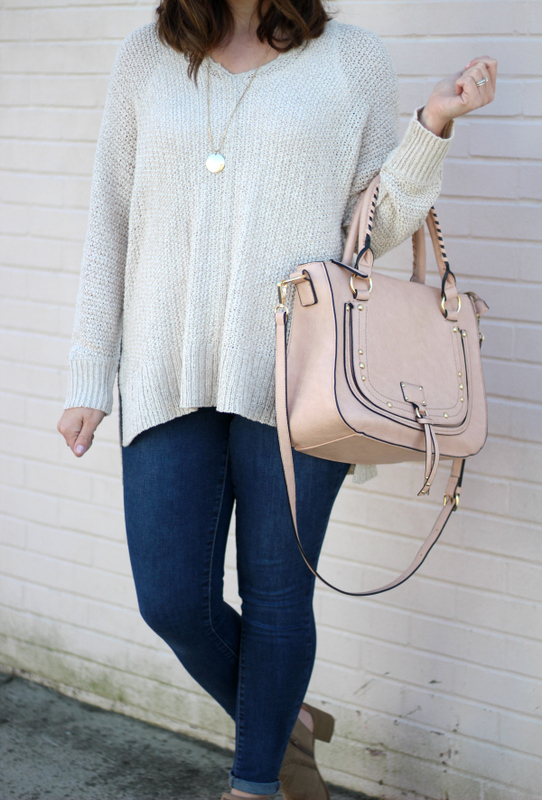 I love a good neutral sweater and the style of this one is so flattering. It fits oversized but I sized up one size (I'm wearing a medium) for an even more relaxed look. 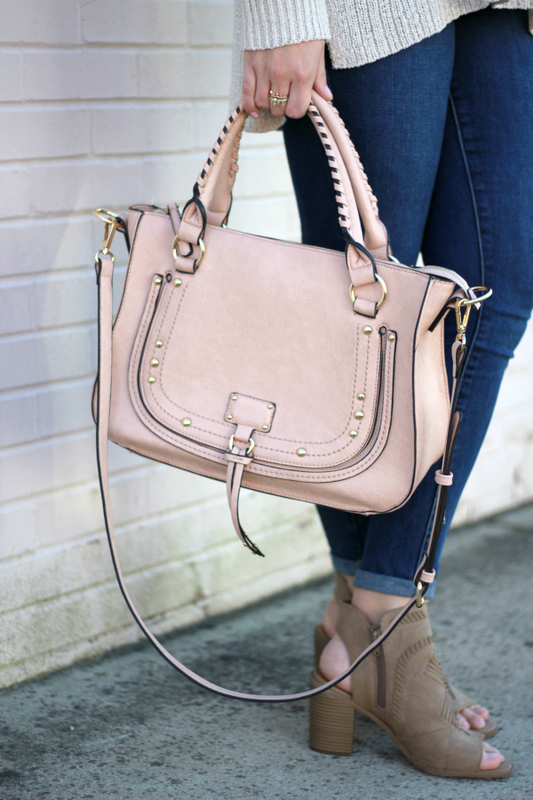 I have styled this a bralette underneath or with a tank, like I'm wearing in today's post. You could even do a front tuck with this sweater for another way to wear it. 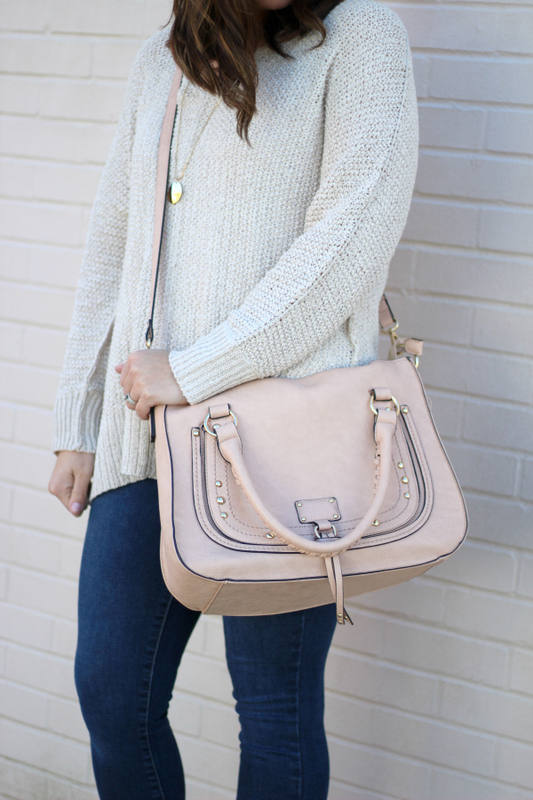 You just can't go wrong with a neutral sweater, especially this great budget friendly find that's under $25!